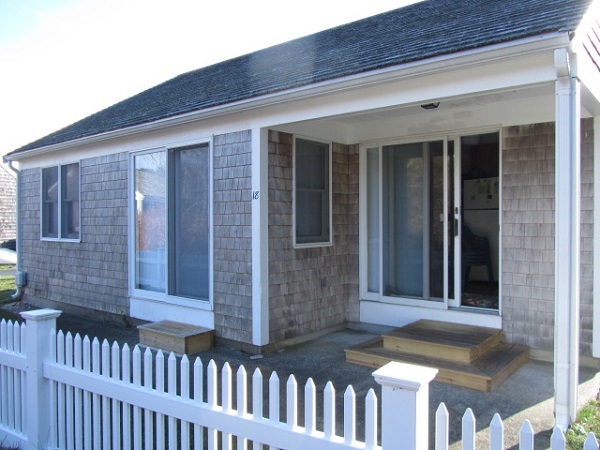 This 3 bedroom, 1 bath cottage is part of a group of cottages,The Wellfleeter Condominiums,located at the end of Mayo Beach on Wellfleet Bay. It has a kitchen with a dishwasher,a dining area, a living room, 3 bedrooms, one with a queen and the other two with 2 twin beds in each. The bathroom has tub and shower.The washer/dryer are located in the basement. 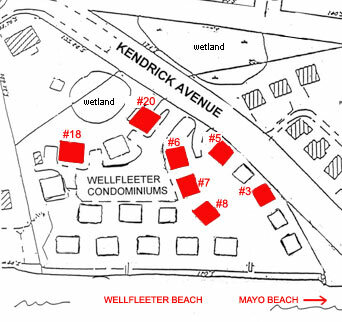 There is access by a path leading to 400 feet of private sandy beach for the use of the cottages' residents. 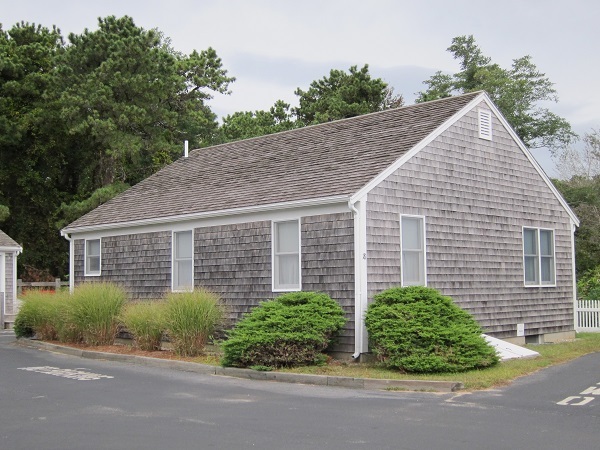 It is a short walk to tennis courts, the community playground, restaurants, and Wellfleet Harbor. It is about a 10 minute walk to the center of town. Non-refundable $135.00 Administrative Security Fee plus applicable state and local taxes. Linen package is available upon request for maximum capacity at an additional cost of $205.00.